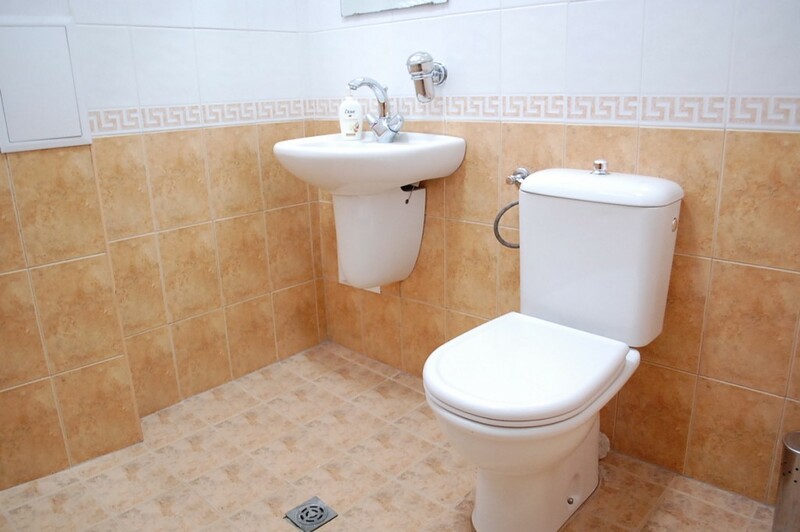 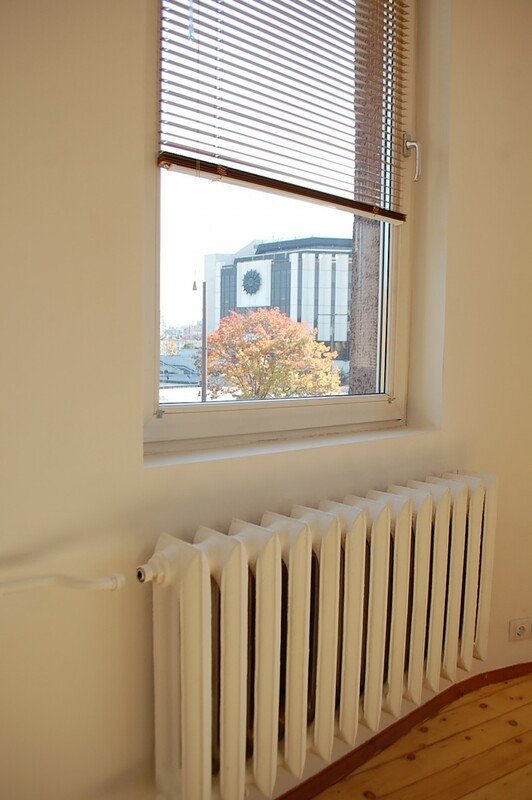 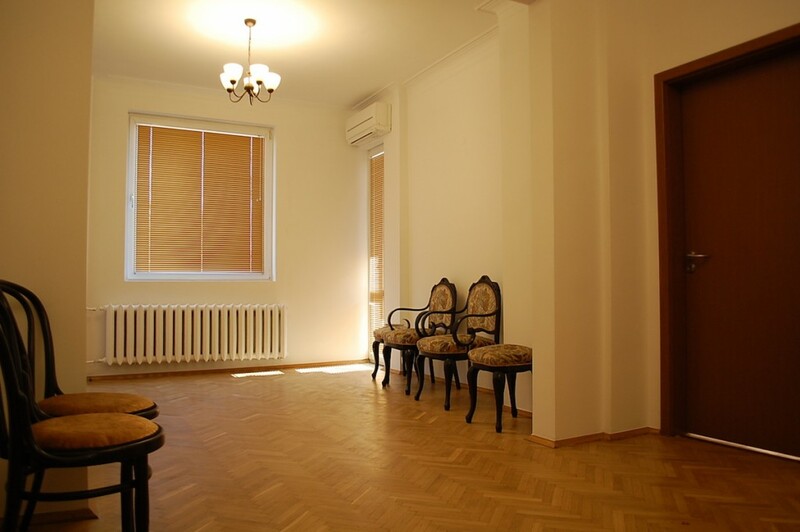 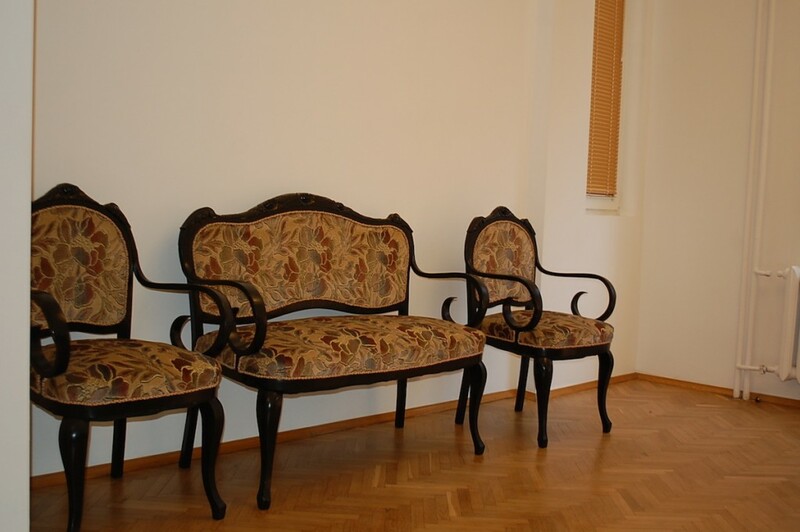 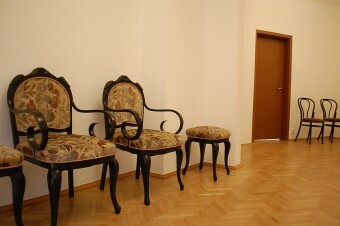 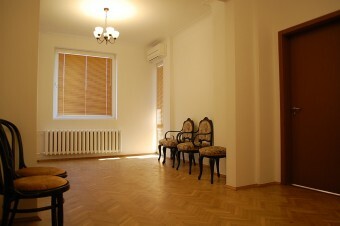 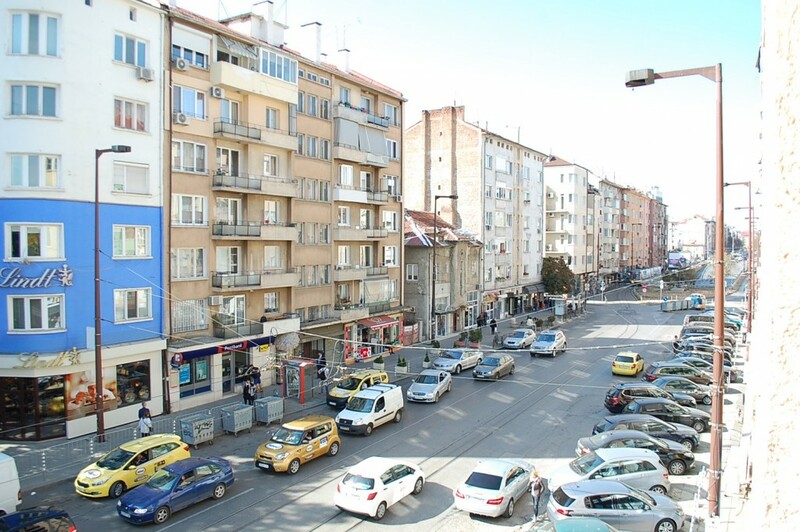 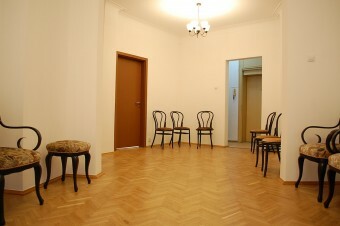 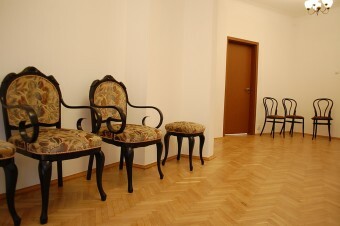 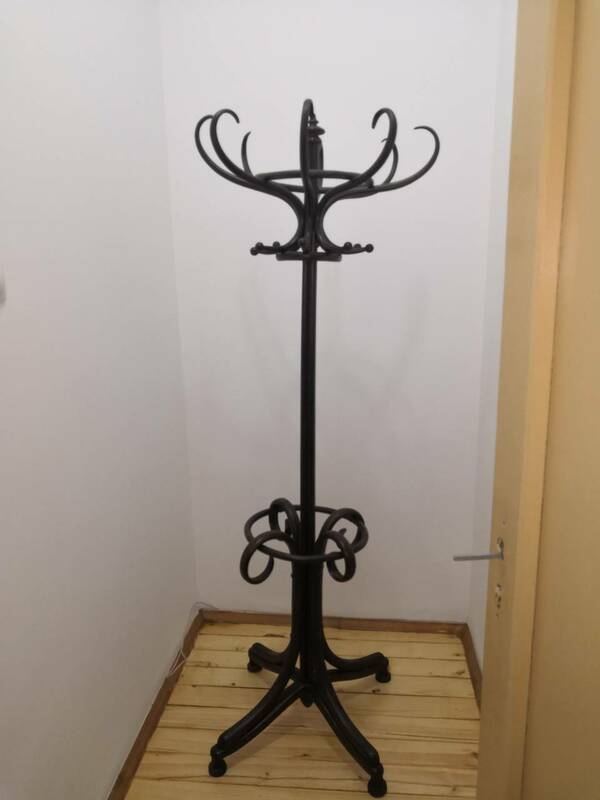 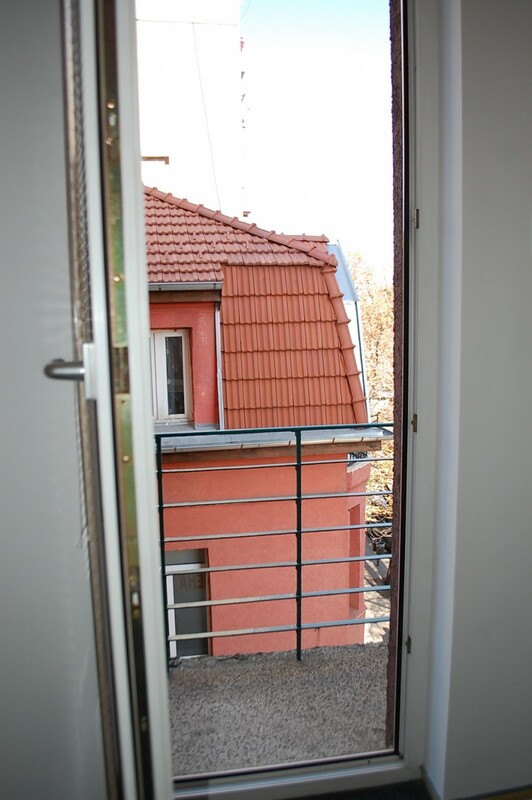 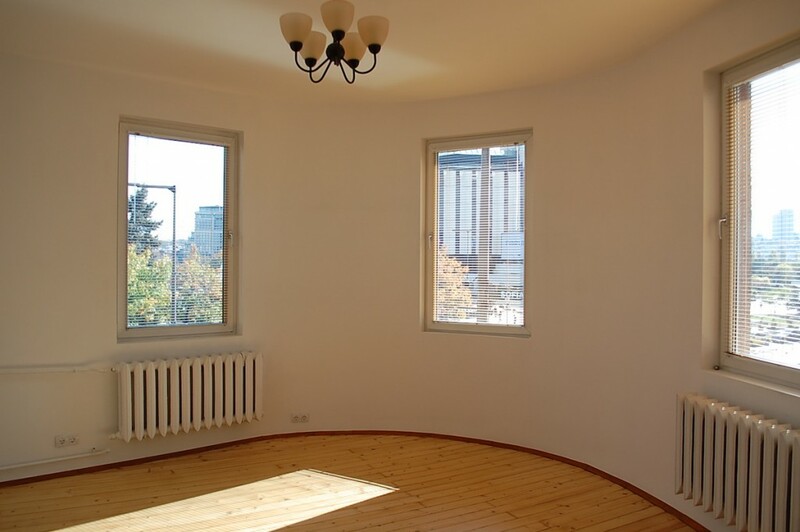 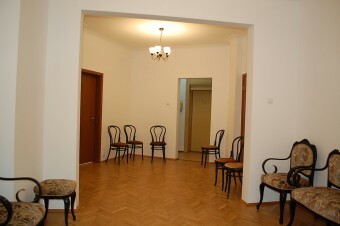 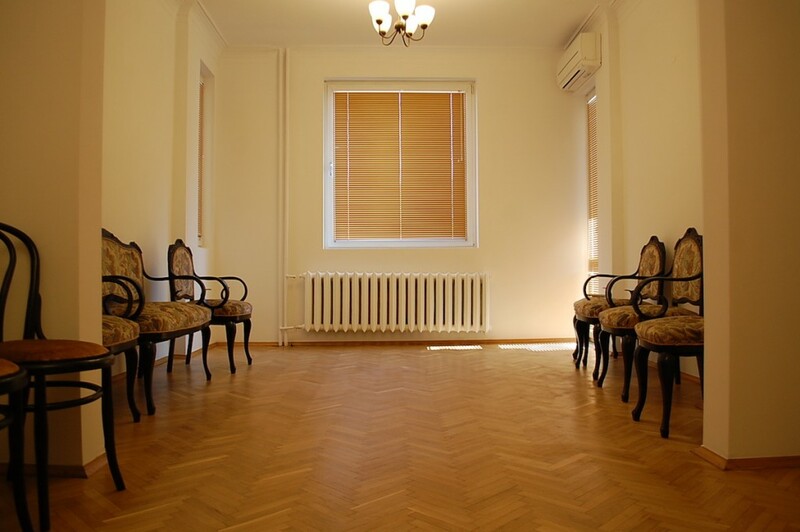 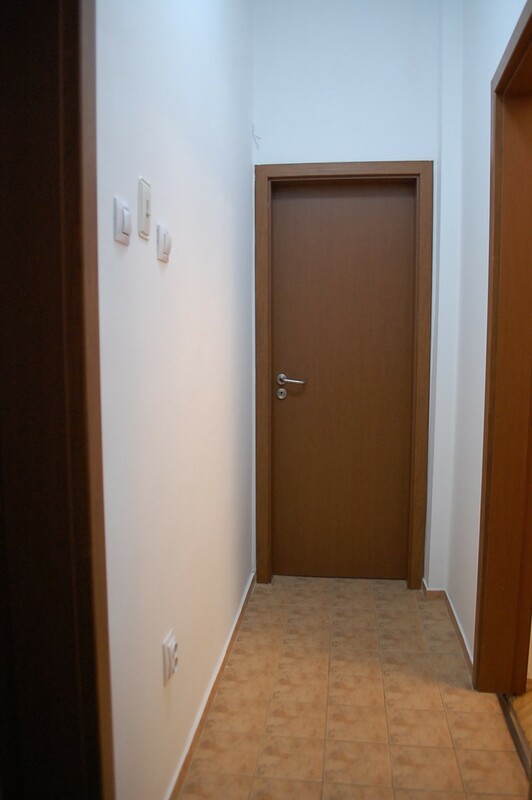 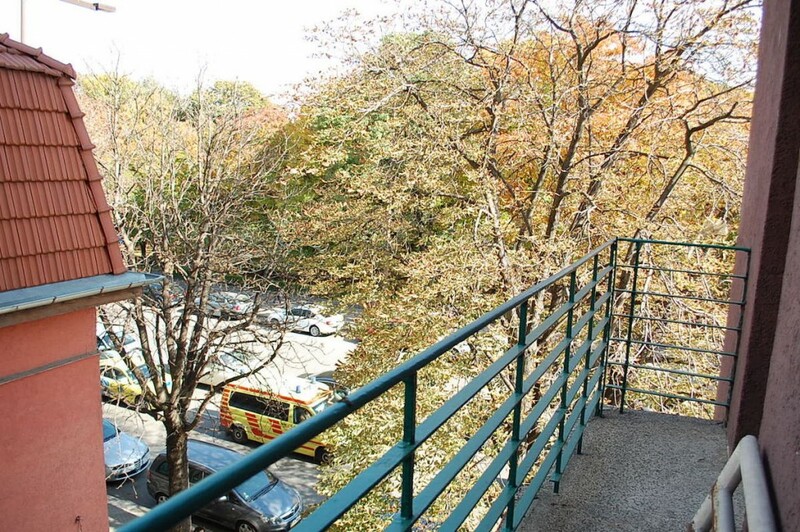 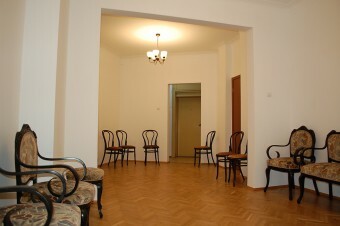 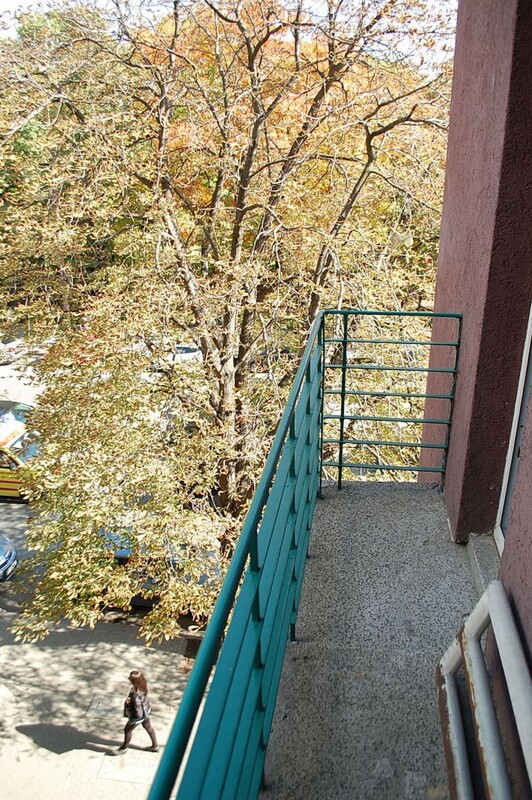 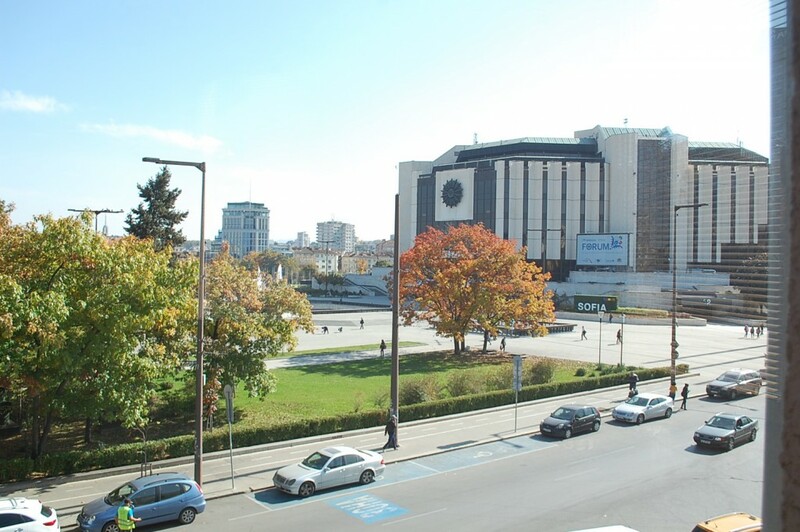 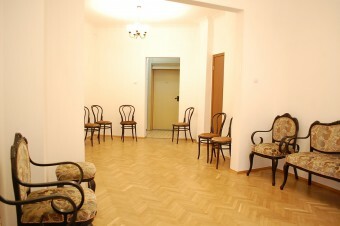 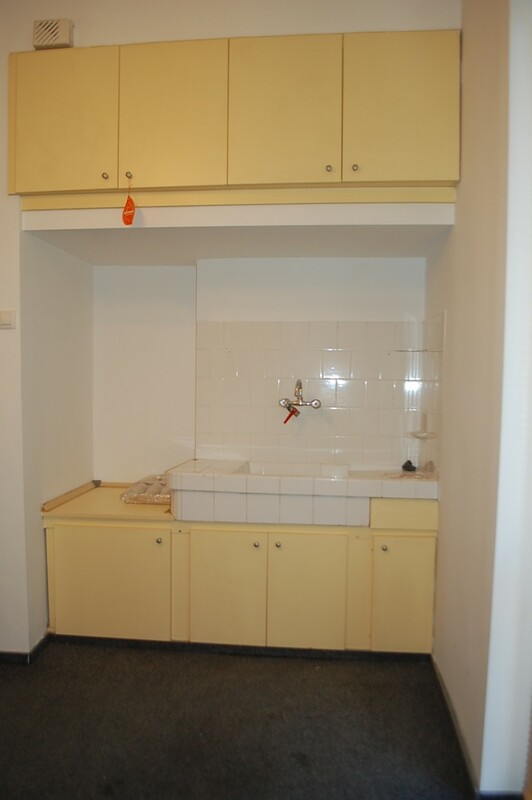 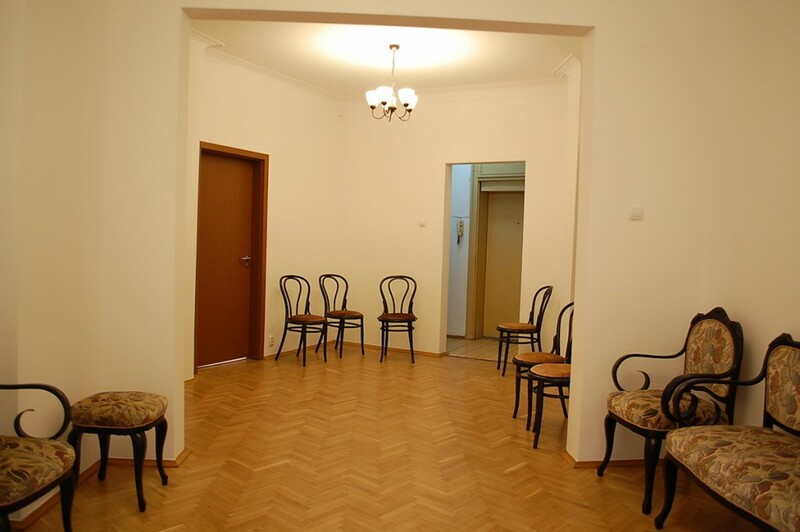 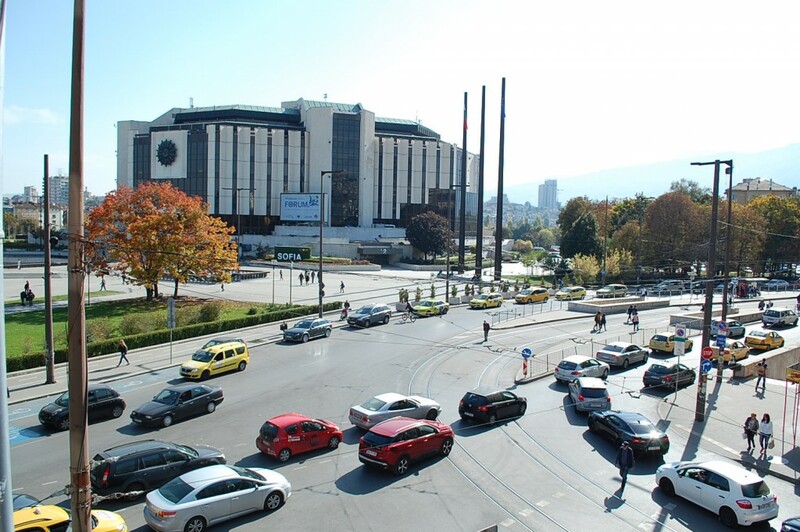 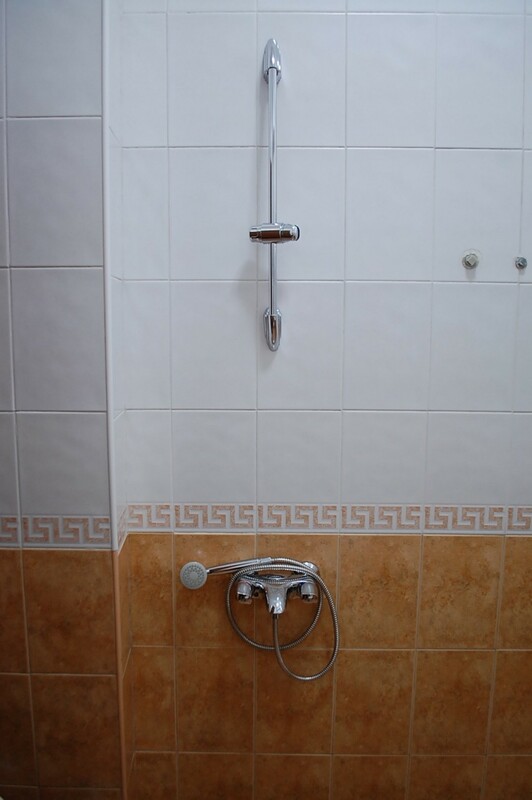 Description: Brain Trust would like to present an apartment for rent in the heart of Sofia. 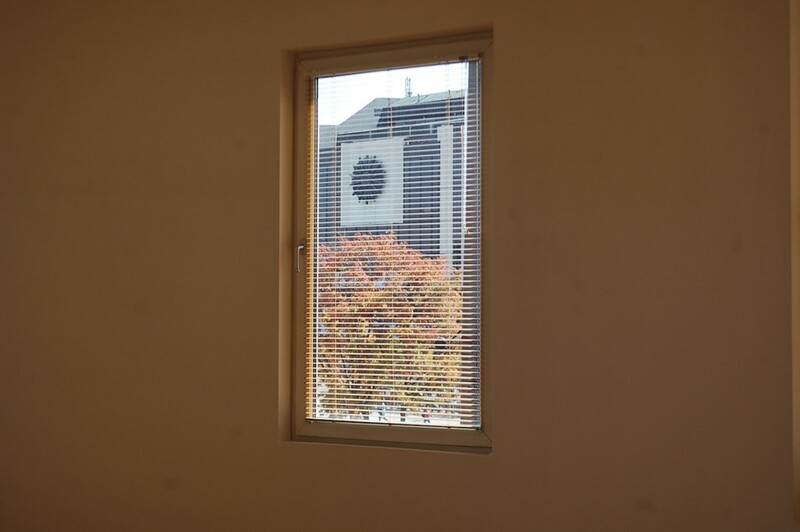 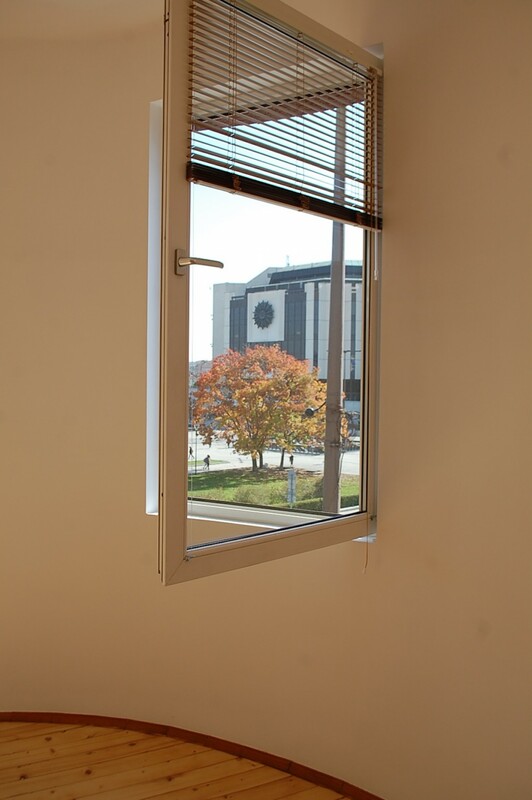 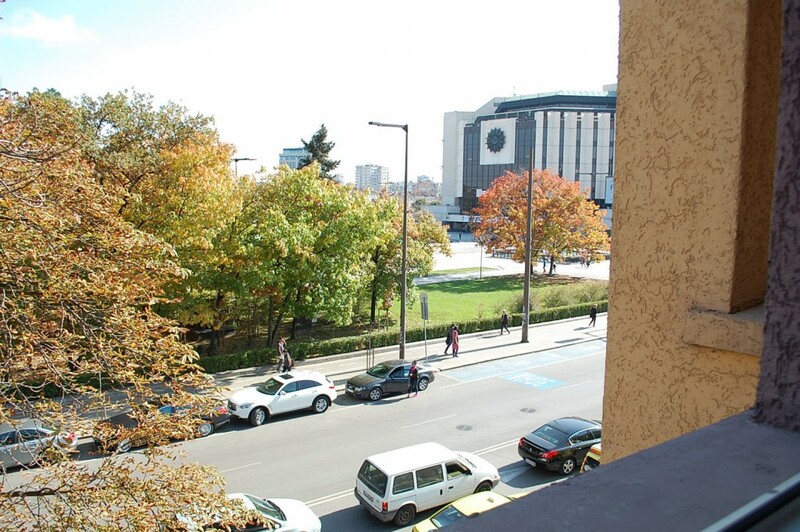 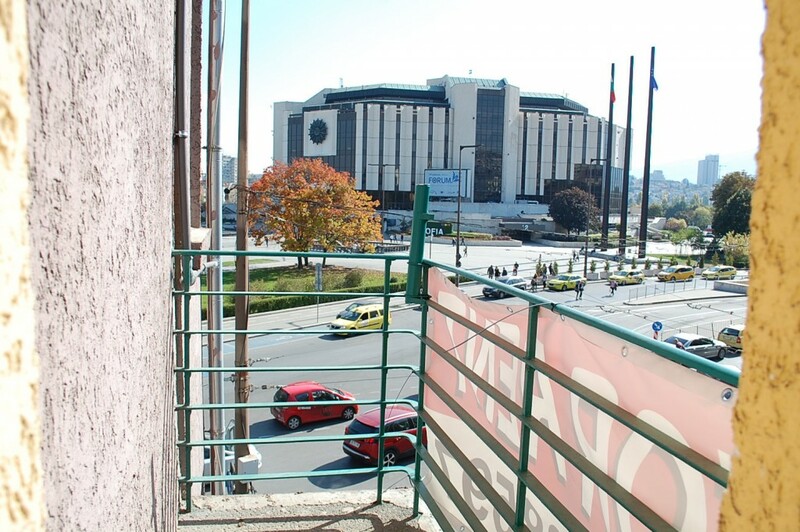 The apartment is located on the third floor of a well maintained building from 1936, right next to the National Palace of Culture and provides a one-of-a-kind view from all sides. 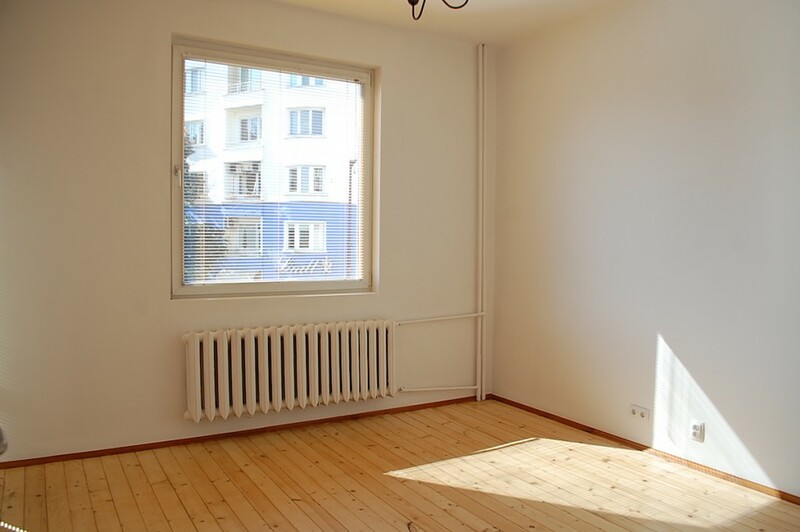 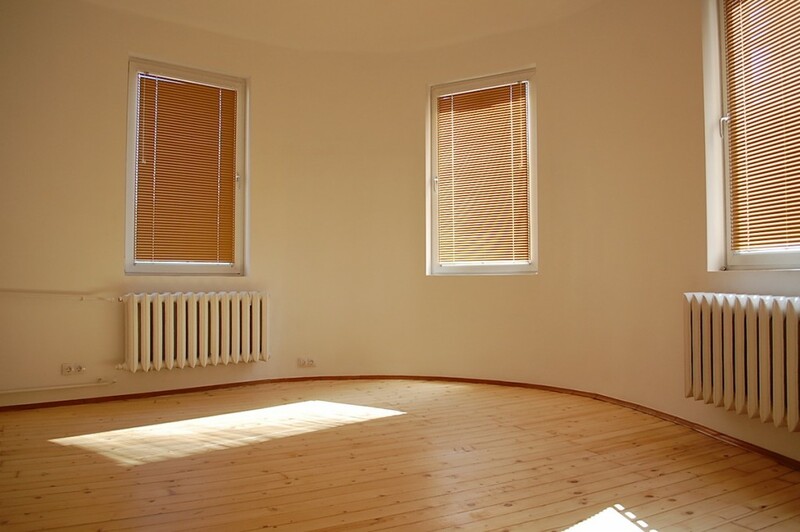 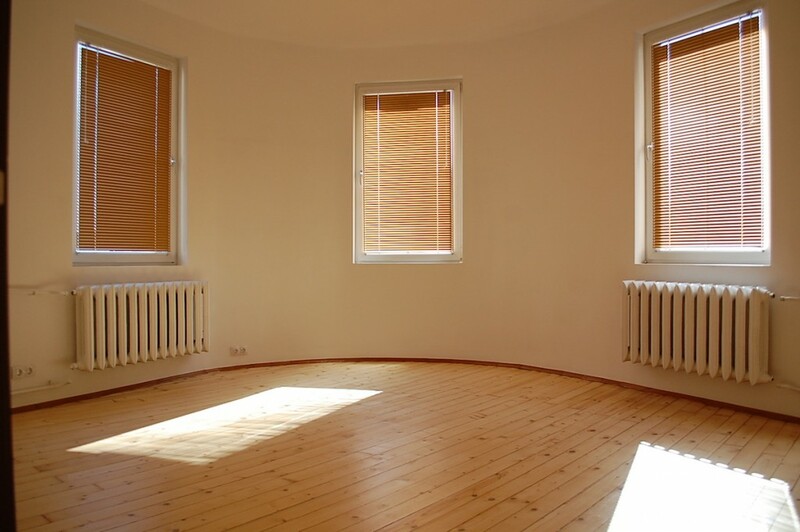 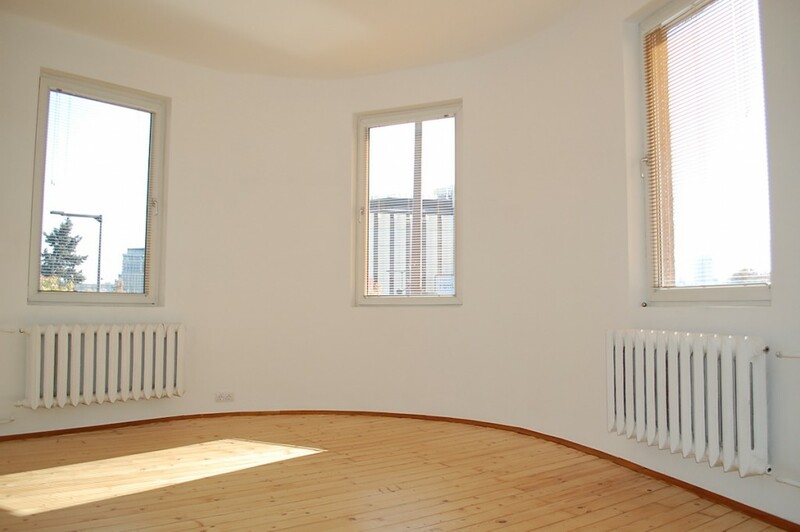 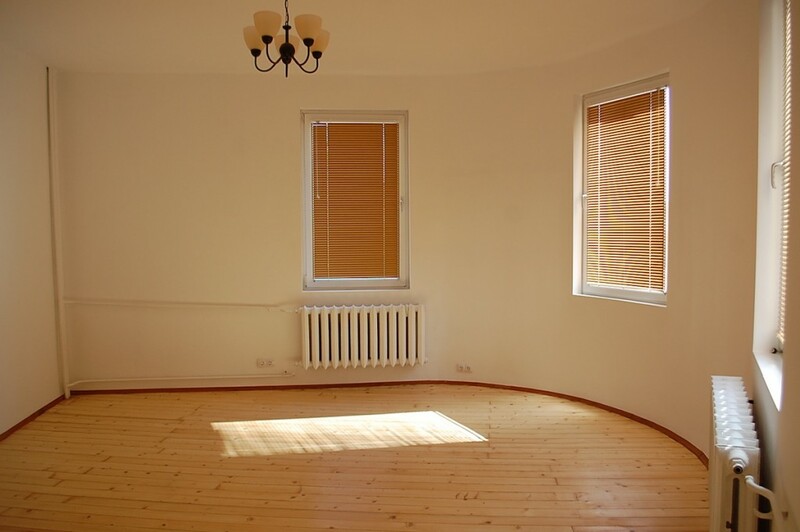 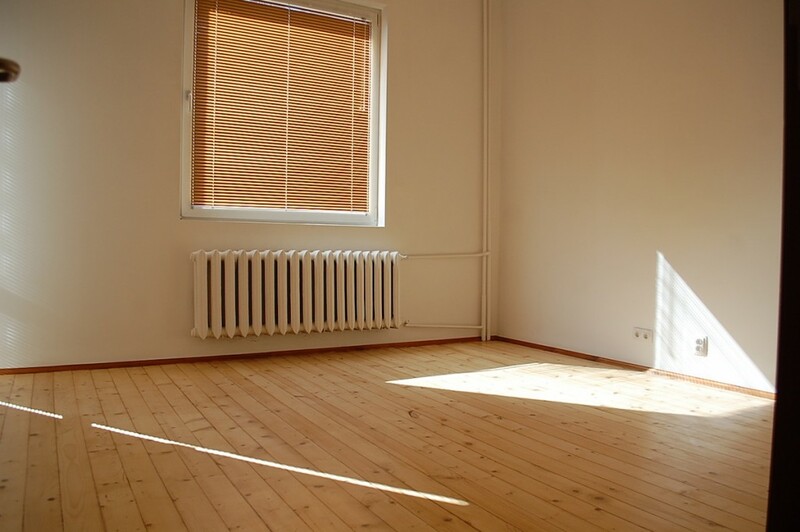 The apartment is facing east and south, which allows for a lot of natural light. 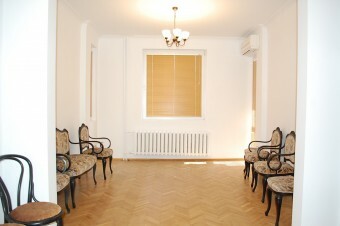 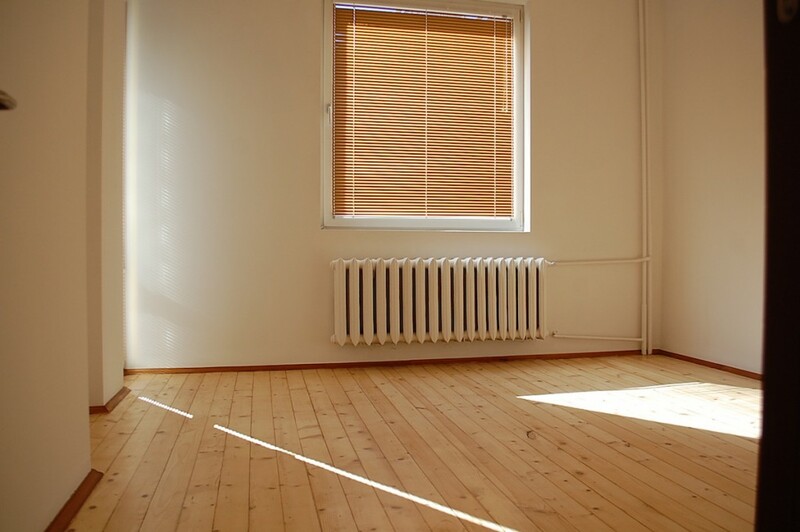 The apartment is suitable for both residential and commercial usage. 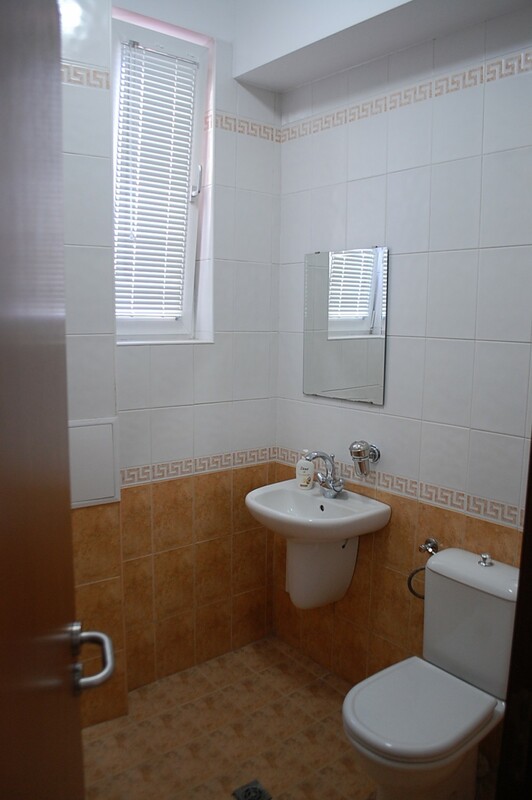 It consists of a hall, a spacious vestibule leading into two separate bedrooms with amazing views of Vitosha, another hall leading to a bathroom with a toilet and a kitchen with a balcony facing the inner courtyard.